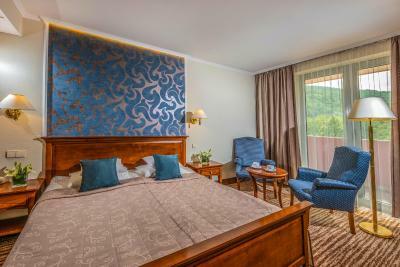 Lock in a great price for Thermal Hotel Visegrad - rated 8.5 by recent guests. Wellness facility, pools are really good. Food was fairly good. 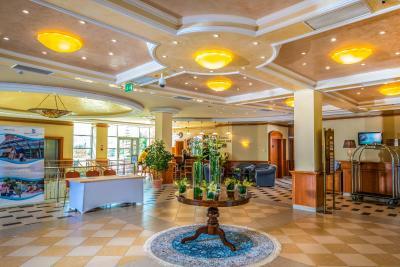 As the name suggests, this is a specialised thermal spa hotel and the spa facilities do not disappoint. The spa area is excellent, meeting all expectations. 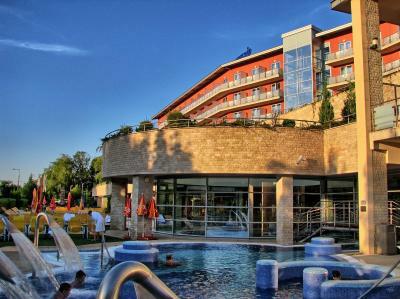 Great variety of pools at a range of temperatures with interesting water features in a lovely luxurious ambience. 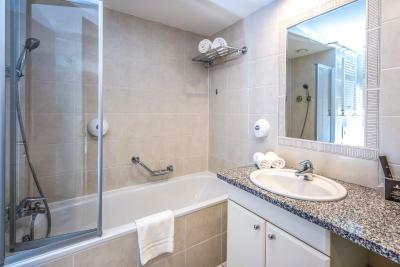 Good range of different sauna and steam room options including a pleasant "aroma" steam room. 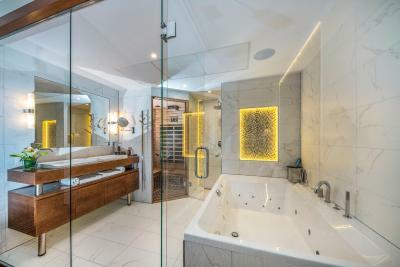 Easy to spend all day relaxing in the spa. 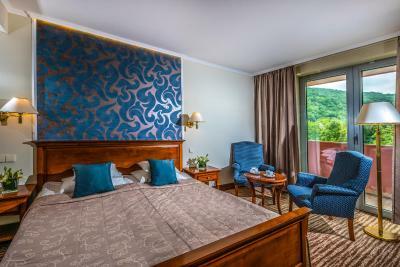 Hotel nicely situated about 1 km from main centre of Visigrad with views of Danube. Super nice pools and wellness. 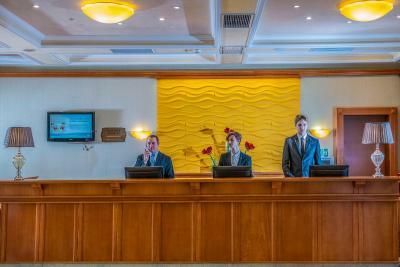 The staff was very nice. Good location. Excellent personal. In first time i visited this hotel in 2005. I liked. That why i decide to show this place for my family in cuurrent year. Nothing change. Everything good like was more 10 year ago. Thank you. Good location. Only the receptionist and the bartender ladies were nice. I will never choose that hotel again especially for that ammount of money. Maybe the wellness facilities are fine, but I didn't have to try. 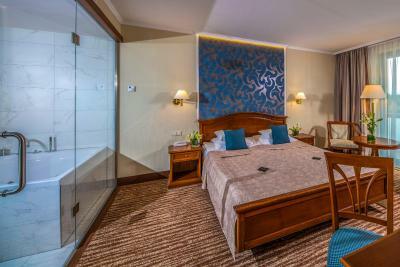 The location is fantastic, the staff is good, rooms are clean. 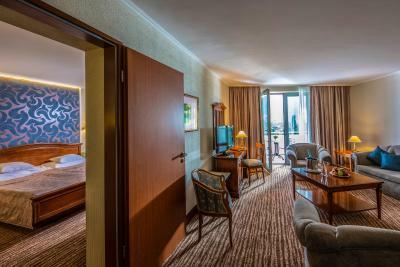 Sehr freundliches Personal, schönes Hotel, gut ausgestattetes großes und sauberes Zimmer mit Balkon. Da wir unseren 45. Hochzeitstag feierten, bekamen wir eine Flasche Sekt ins Zimmer. Das Frühstück war ausgezeichnet. Gazdag szaunavilág. Minigolf és Kovács étterem a közelben. Több alkalommal megszálltunk màr itt. Most feltűnően jó volt, kitűnő a reggeli és a vacsora. Azonban a desszertek a várakozástól elmaradtak. Máskor is szívesen megyünk. 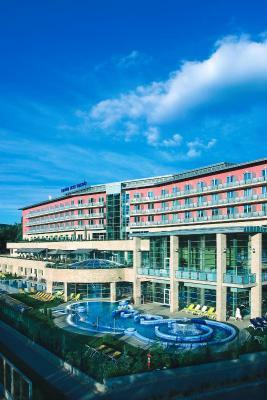 The Thermal Hotel Visegrad is located in the scenic Danube Bend on the edge of Visegrád, 24.9 miles north of Budapest. 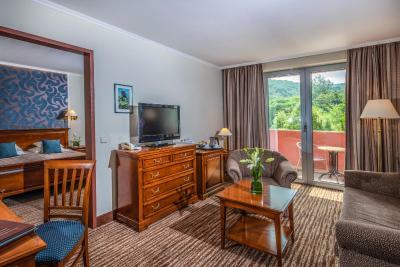 It provides accommodation units with air conditioning, as well as spa facilities. 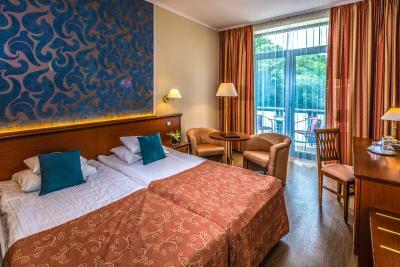 The nicely furnished rooms have a balcony and offer views over the park or towards the Danube river. 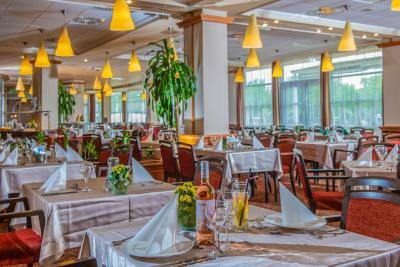 The Danube Restaurant is one of the hotel's highlights, boasting a wonderful view over the Danube Bend and seating up to 220 guests. 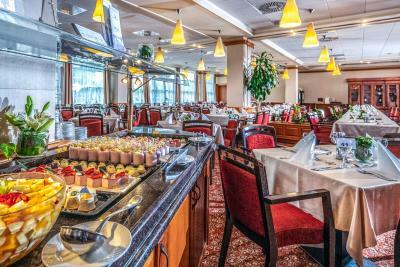 The restaurant offers meals both of the traditional Hungarian and international cuisine which you can choose from a rich buffet table or from the menu. 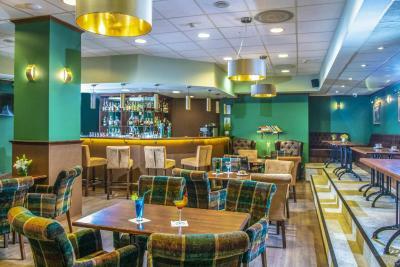 Various bars and pubs in the Thermal Hotel Visegrad invite you to spend relaxing hours chatting with fellow travellers and enjoying your favourite drinks. 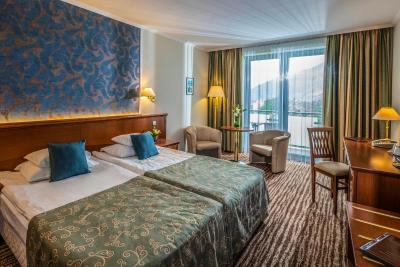 Thermal Hotel Visegrad has been welcoming Booking.com guests since 2 Jul 2008. 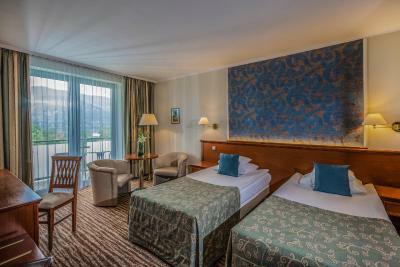 When would you like to stay at Thermal Hotel Visegrad? 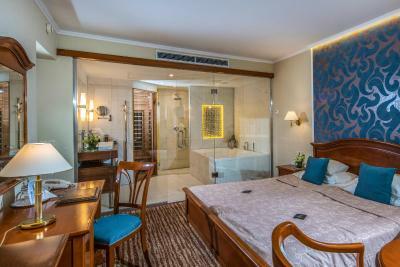 The room offers Nescafe Dolce Gusto coffee machine, mineral water and Vintage Beauty toiletries. It has a view. 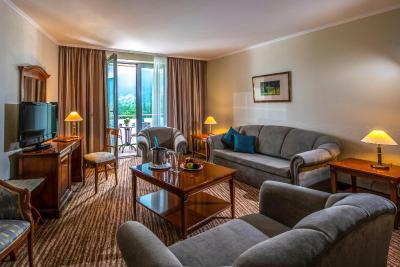 The rooms are located on the 2 and 3 floor of the building. 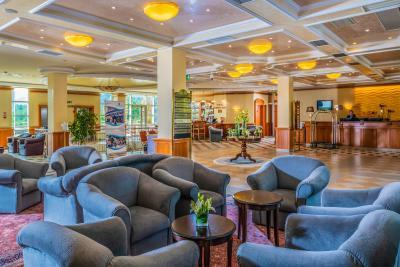 House rules Thermal Hotel Visegrad takes special requests - add in the next step! 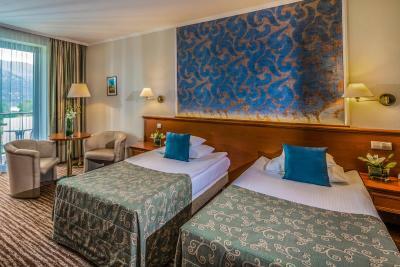 All further older children or adults are charged EUR 72 per night for extra beds. 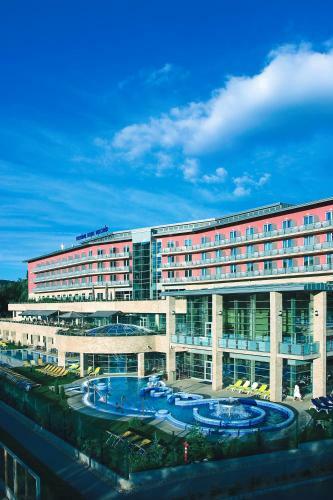 Thermal Hotel Visegrad accepts these cards and reserves the right to temporarily hold an amount prior to arrival. 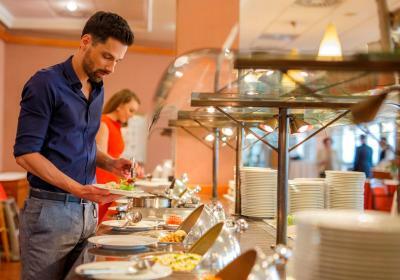 From September 2018 the main plate of the buffet dinner will be served by waiters. 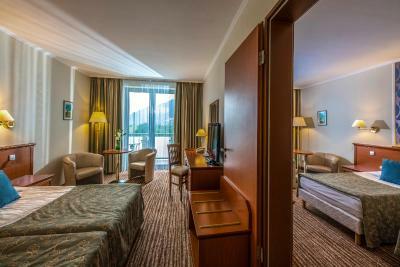 Rooms are not really nice, unmodernised. The dinner was poor like in 4stars superior. The restaurant service team is totally under motivated. (not their fault, I think). Silvanus is much better, but they were out of rooms. Buffet breakfast was fine but a little ordinary and I thought there could be more variety among the cooked options. Disappointed to discover that the so-called "last minute special deal" I had paid for by booking.com was in fact about 30 Euros MORE than the tariff advertised in the hotel room guest information book. Will book directly with hotel if there is a next time. We needed to wait at breakfast and dinner for the food re-fill. Sometimes even 10 min. Pets were loud when they were left in the rooms. Is expensive for what you get. Pool is ok, not big but nice. Food is good. The rooms could be cleaned to a higher standards. Good good lots of healthy options. I feel cheated since we got cheaper accommodation than we originally booked but at the end we got an invoice for the more expensive room. I was surprised that the price was not adjusted to the actual accommodation. When we complained we got "discount".